Giving Dogs a Fair Shake! Last week's book review involved cats because I am a cat person. I mean I would have to be to have three wouldn't I? But, I want to give dogs a fair chance as well, so here is are four of my favorite dog books in no particular order. Harry hates to take a bath, so he runs away. He spends the day getting so extraordinarily dirty that his family doesn't even recognize him when he returns home. Will Harry ever get his family to let him back in the house, and if they do, will it involve a bath? Hugs the puppy sets out early one morning while his family is still sleeping because he has something he needs to find out. The kind farm animals along the way help him with his requests and when he returns to the barn and his family he finds the answer for which he was looking! This story of how one family found a very imperfect dog and how he made a perfect addition to their family is a good lesson in how love can overlook differences. 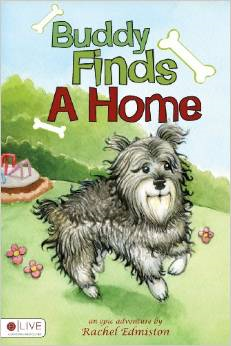 My daughter truly enjoyed this book, especially when she realized it was a true story. 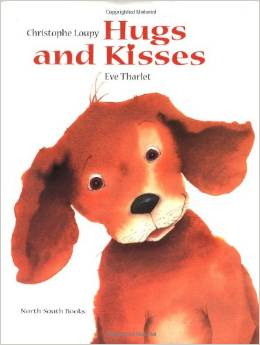 I would recommend this book for children six to eight. 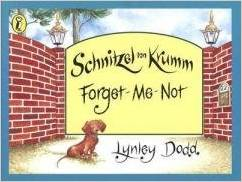 Told in rhyme and accompanied by beautiful illustrations, Schnitzel Von Krumm: Forget-Me-Not is a great little book for children four to eight. As Schnitzel's family busily packs for vacation they remember everything but him. To find out what happens to Schnitzel when this happens you need to read this book for yourselves! This past week was busy with both work and play as we took one of Emily's friends bowling, went geocaching, visited the Velvet Ice Cream Factory, set up tables at our local farm market. It was so busy in fact, that for this Monday's book review, I actually had Emily read a book to me on the way to Bible school Sunday evening. 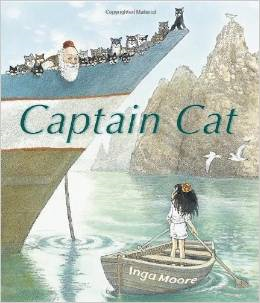 She read Captain Cat by Inga Moore. The book started by stating that Captain Cat loved cats so much that he had more cats then crew. I laughed and asked Emily if that reminded her of anyone. 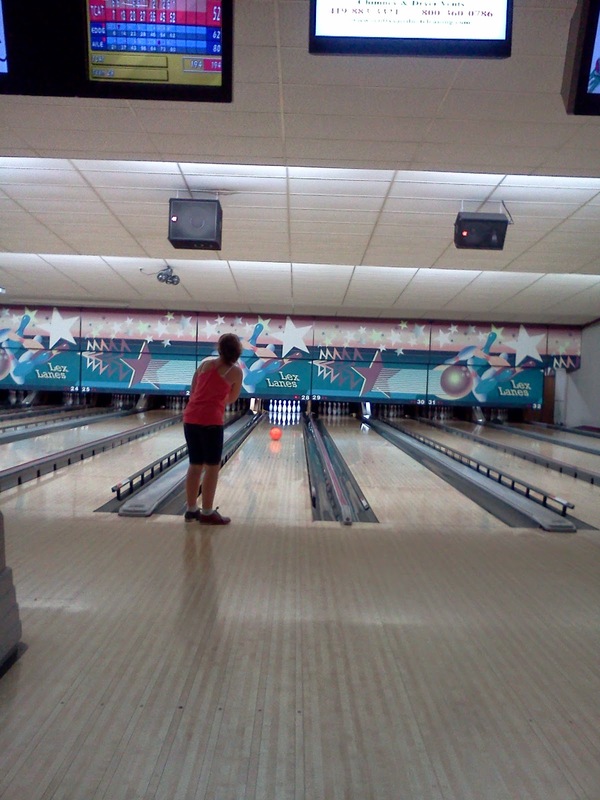 She responded by saying that it reminded her of her friend that had gone bowling with us. A friend that loves cats so much that she even calls herself cat girl. Quickly I stopped laughing and she continued to read. We learned that Captain Cat was a trader, but not a good one. He loved cats so much, he always traded his goods for more cats. One day Captain Cat decided he was going to travel to places he had never seen. He, his cats, and crew set off, but a large storm causes them to sail off course to an island over run with rats. I don't want to give too much away, so I will just finish by saying that you really will love how this extremely amusing story ends. The illustrations are quite captivating too. As you have probably figured out by now, I love books and authors. 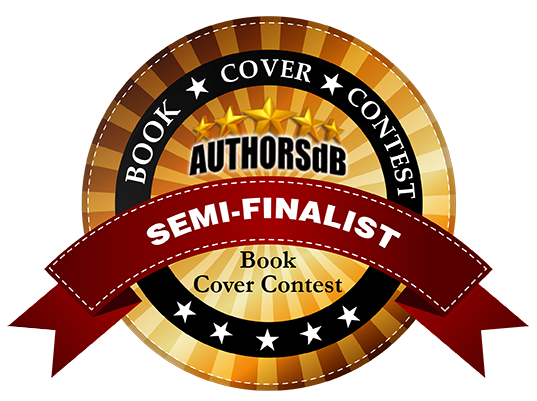 All types of books and authors. 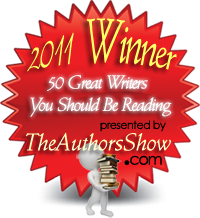 And when I am able, I like to introduce you to new authors you may never have read before. Recently, Indie author, Pat Brannon, asked if I would be willing to review a couple of her children's books which promptly arrived in the mail this past week when I agreed. I have known Pat through Face Book for a while, but had never read any of her many books, so I was curious. What she sent me were the Meet The Darlin' Dujeeszys and Violet's Not So Velvet Voice. The first thing I noticed when I received them was that they are a little larger then the usual children's book. They are about the size of a coloring book. Although a little unusual in my experience, the size is not a negative. In fact, children five to eight for whom this book seems appropriate, will more then likely enjoy the large colorful illustrations. 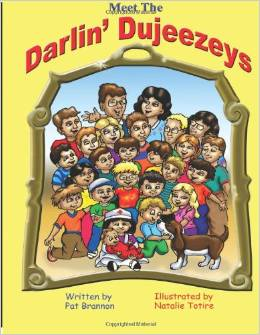 The Darlin' Dujeezy's are a very large family who reminded me a little of the real life Duggar family. The message in this story is team work. It really doesn't matter if your family is large or small, everyone working together causes life to run much more smoothly. This is a lesson that Emily's father and I are trying to teach her as well. Each of us pulling our own weight and doing different chores, so that everyone can enjoy the benefits. Violet's Not So Velvet Voice took a totally different direction. In this story, Billy Carl Thomason has a problem. His problem is Violet, or to be more precise, Violet's horrible singing voice. Only violet doesn't believe him when he tells her she sounds awful. 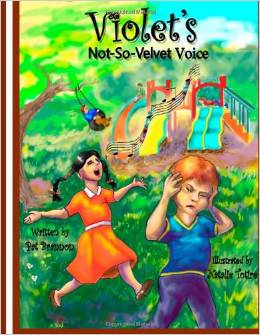 Violet has always been told by her friends and family that she has a lovely voice. Violet is so incensed that Billy Carl doesn't like her voice that she follows him everywhere he goes singing and tormenting him until he can't take it any more. Billy Carl appeals to his teacher for help and blessedly she finds a solution. 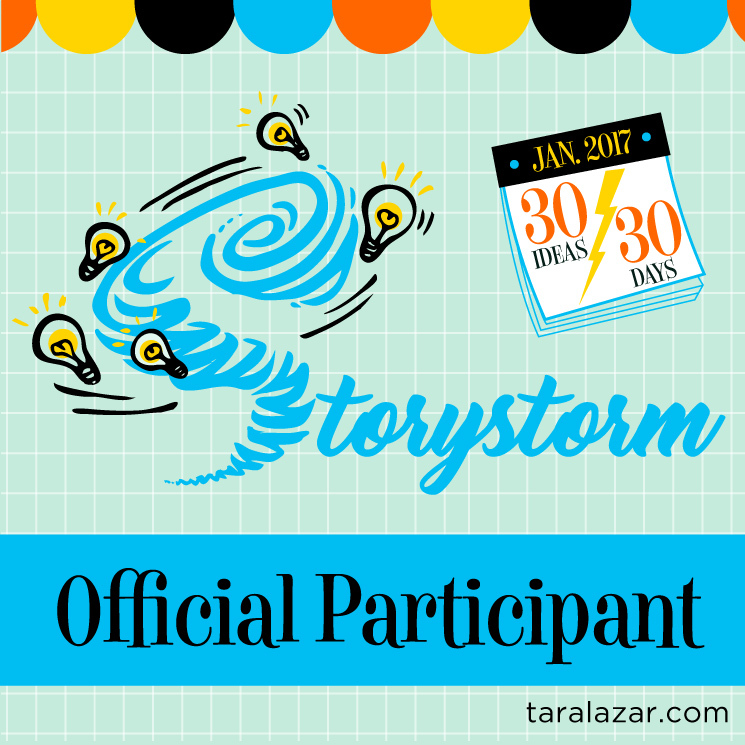 Blog Hops, Books, and Friends. This past week was pretty busy as I was getting ready to host a garage sale with my sister. I didn't realize just how much junk, I mean how many sales items I had, until I started hauling things to the garage. The good news is that we sold over two thirds of what we put out. 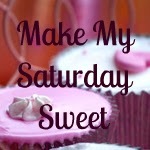 Of course I still left myself plenty of time to read a few books, and I even found a new blog hop to join called Make My Saturday Sweet. It is hosted by a lovely American mom who has been living and raising her children in South Africa. 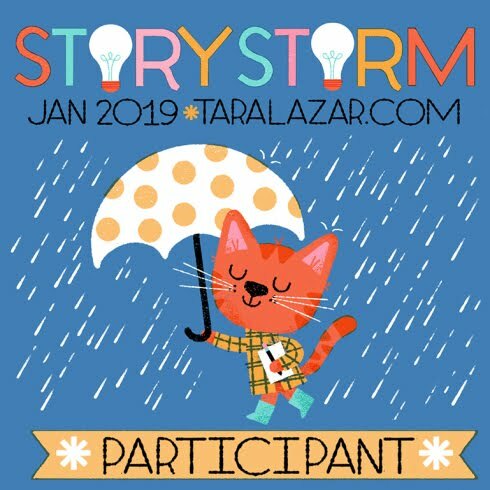 So if you have a minute, stop by, read her blog post, and check out her great blog hop buddies! And don't forget this week's selection of books. As I have written about before, it's always fun to find books by friends at the library, and this week was no exception. 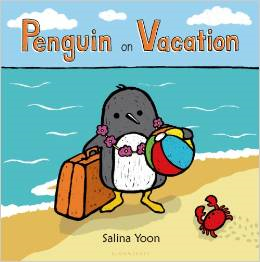 My very talented friend Salina Yoon, author and illustrator of the penguin books, delighted me with Penguin on Vacation. Everyone needs a vacation from time to time and Penguin decides to take his at the beach. He has adventures and fun, but best of all, he discovers that where you spend your time isn't nearly as important as who you spend it with. 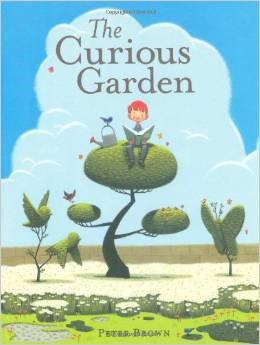 I also read The Curious Garden by another very talented author/illustrator friend of mine, Peter Brown. This whimsical book will delight children with it's beautiful art work and make them itch to plant a garden all their own as they follow Liam's adventures. It is also a testament to the fact that you don't have to be perfect at what you do. You just have to love what you do and keep working at it. And if you do, before long your joy will spread much like Liam's curious garden spread all over town. The end of school, The begining of summer! Last week was Emily's final week of school and we had a super great time. The last full day of school was so perfect. The kids finished up some narrative writing stories. Some of the laptops weren't working, so I got to take three children to the computer lab to finish typing. 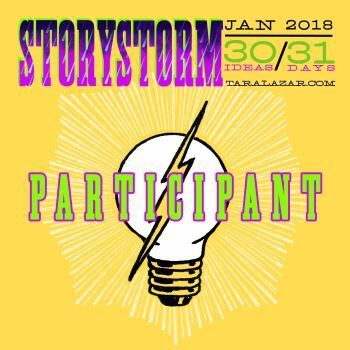 I had Emily's friend, Ella, sign me into a computer and I told her I would see if I could finish a short story before she was done. She informed me she was a fast typist, so I told her I would see... what I could accomplish. I asked her to pick an animal so I would have some inspiration and she chose a pig. In the thirty minutes or so we were there, I wrote a story that I think would be a great picture book. It is called "The Pig Who Heard Music". 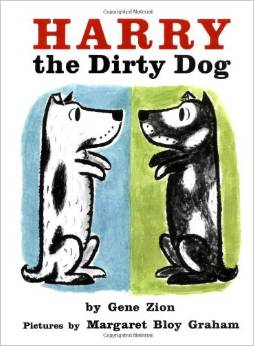 I even got to read it to the class before we started our read-out. For lunch, their teacher, the ever so fabulous Ms. Carr, who we were blessed to have her for second and third, ordered pizza for the children. I added a huge bowl of seedless red grapes to the mix and the kids brought drinks and snacks. After lunch we had our read out and then Miss Carr had the kids play water balloon ball. Two teams, two sheets, and lots of balloons later, they finally got the hang of tossing it from one sheet to the next We are certainly going to miss Ms. Carr, but we will carry the memory of you with us for years to come. Friday found us attending the school award ceremony. Emily received the "Sensitivity" character award, a "Music" award for recognition of outstanding participation in music class, "The Outstanding Academic Award" for making the honor roll all four quarters, and a honorable mention ribbon for Math Olympics. 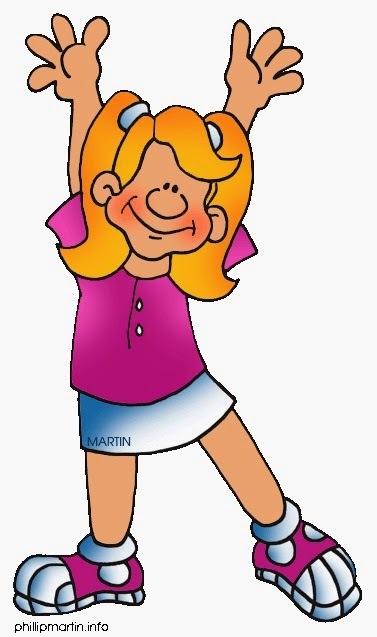 This was the first year for MCS third grade to participate against other schools in the Math Olympics and MCS as a whole received 39 percent of the ribbons. In addition, she received a "Outstanding Comprehension" AR Reading medal. To receive this medal she had to have above a 93 percent comprehension in reading as well as meeting her goal each quarter. And to top it all off, she won the "Overall AR Star" trophy for AR Reading in third grade. She accumulated over 83 AR points in four quarters; the goal for the year was 34 points. Her father and I feel so blessed to be her parents and to see her excel in all that she does. Now, we have officially begun summer. We kicked summer off with pizza and bowling. And let me just say what we lack in bowling skills we make up for with enthusiasm. Our next plan of attack is to head down to the library and sign up for summer reading. Hope you are getting ready to do the same! 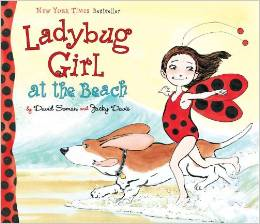 And to start you off right, I recommend Ladybug Girl At The Beach. Going to the beach just embodies the whole idea of summer to me and this book takes us along on LuLu's first trip to the ocean. To begin with, she is afraid of the ocean. But by the end of the story, she has conquered her fears and has had a stupendous time. 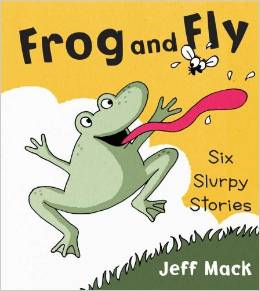 Another great book, one for beginning readers, is Frog And Fly Six Slurpy Stories. They short and funny blurbs of a frog teasing his food before he eats it. 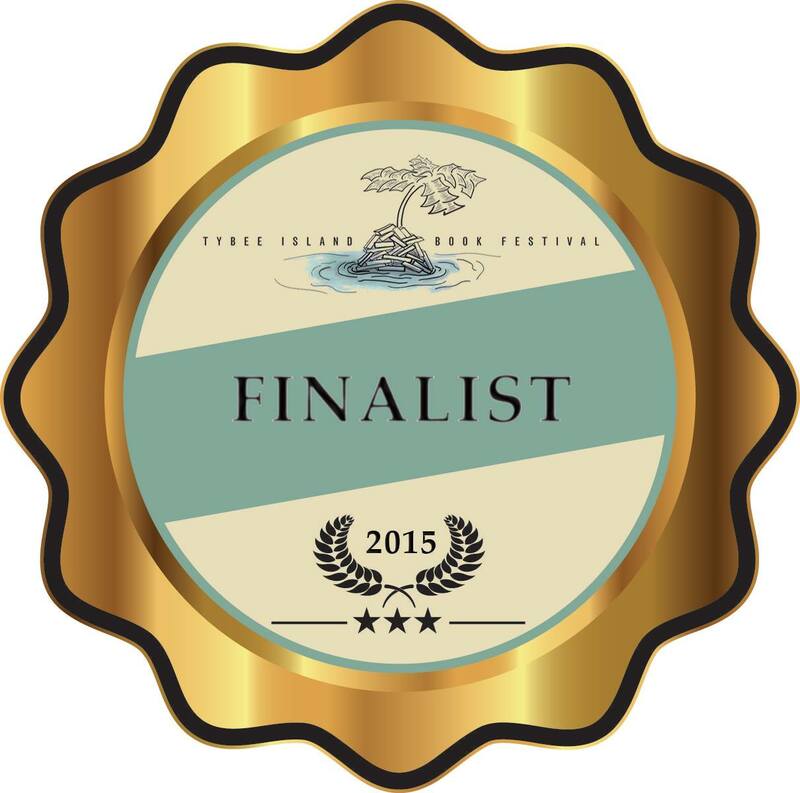 Deliciously amusing, the last of the six stories might even surprise you.